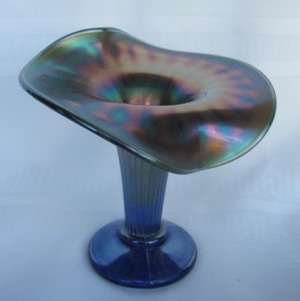 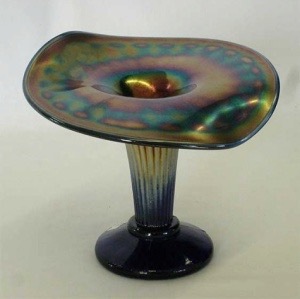 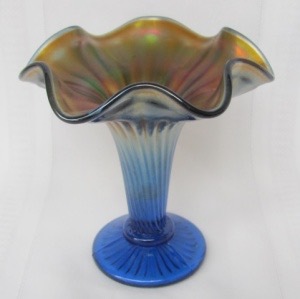 Pattern Description: Thin vase entirely covered with fine ribs that start on the flat base and extend to a smooth band around the top edge of the widely flared top.There is a formed disk just above the base. 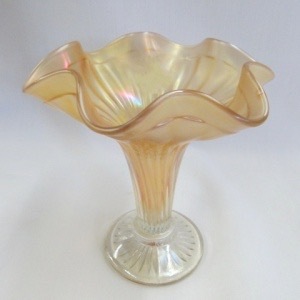 The top edge is smooth and can be ruffled or JIP. 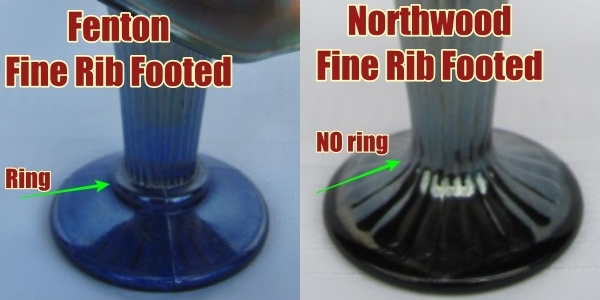 Fine Rib Footed Vases-Fenton or Northwood?